Thinking of getting “a little more serious” with your cycling? You’ve got the shorts, got the gloves. 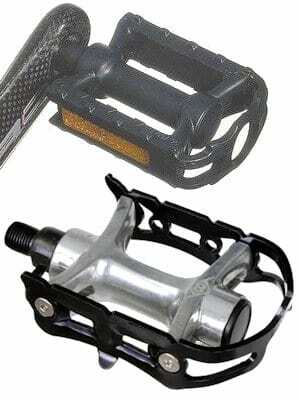 You’ve considered “clipless” pedals but feel a little apprehensive about being “clipped in”? 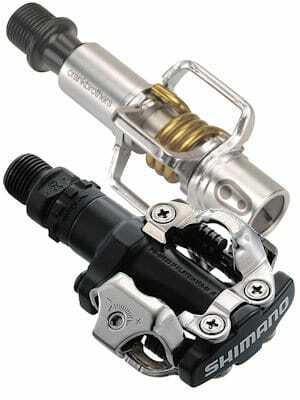 Then check out Shimano’s Click’R system. 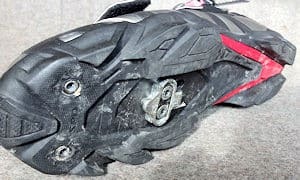 Nothing makes you feel more connected and in control of your bicycle than riding with clipless pedals and shoes. Your pedaling efficiency and foot comfort will also improve. But many riders are concerned that their feet will be locked in and the inevitable tumble will occur. 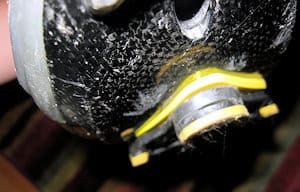 Actually, this happens far less than you think it might, but in case you are nervous about it Shimano have developed a new pedal/shoe interface called Click’R to introduce clipless pedals to first-time users, but is also suitable for regular leisure riders and tourists. 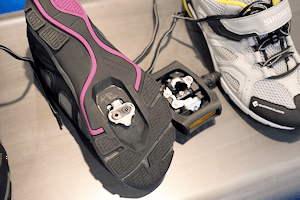 The Click’R system introduces a new plastic cleat on the bottom of the shoe which locates on the Click’R pedal, but does not engage, so your foot is free and there is no sense of being clamped onto the bike. 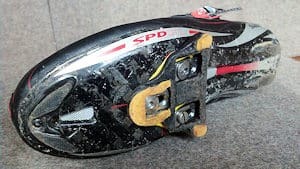 The pedals are an adaption of Shimano’s SPD system but with a modification which enables first the use of the plastic Click’R cleat, and then, when you’re ready, substituting a regular silver cleat which lightly engages on the pedal. The pedal is adjustable down to a very low securing tension so it’s easy to extract your shoe. 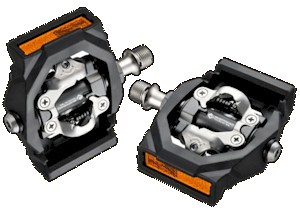 Release pressure is 60% less than regular SPD pedals. The pedal also has a device which resists accidentally pulling your foot off the pedal when the shoe is spinning normally. 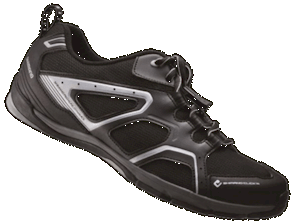 Our guy, Alan – That British Bloke – has trialed a pair of these shoes and reports that, unlike previous “casual style shoes” this new generation of Shimano shoes really can be walked in all day, so would also make an excellent touring shoe for riders who like to get off the bike and explore. 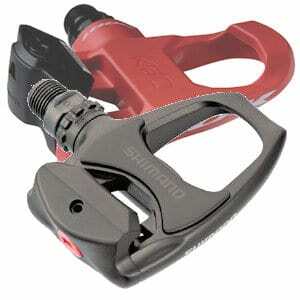 Halter’s carries Shimano Click’R shoes and pedals. Also, call the shop ahead and bring in your bike and experience Click’R to see if it’s right for you.